Life without candy is a sentence no one should have to serve. After all, just one little bite can bring a big smile to any face, and life always seems that much sweeter as a result. Well, take heart. 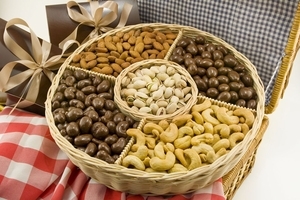 At Superior Nut Store, we have just the thing to make everyone happy—a glorious selection of Sugar Free Gift Baskets, every one jam-packed with luscious treats that even those who are on a strict sugar free diet can enjoy to their heart’s content. 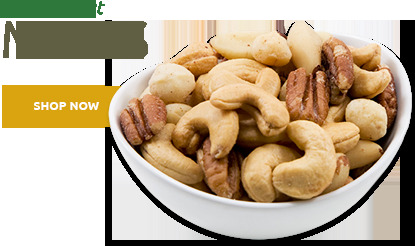 It’s the best of both worlds: our savory gourmet nuts, renowned for their superior quality and flavor, healthy and delicious in their own right, and wonderfully complemented with our own rich sugar free chocolate. 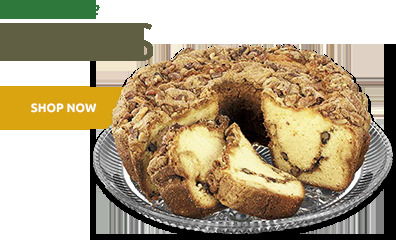 If you’re looking for diabetic gifts that won’t violate dietary restrictions, but still celebrate the sweet joy of guilt-free indulgence, you’ll find them right here…and at great prices to boot! 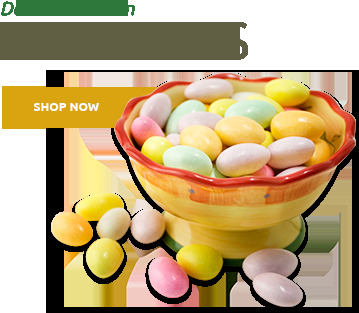 It’s no secret: diabetic chocolate baskets are notorious for the less-than-inspiring taste of their contents. If you or your gift recipient have ever been “underwhelmed” by sugar free chocolates, this is where you get off the train to Blandville! We make our own luxuriously rich milk chocolate and dark chocolate using the finest, most advanced sugar substitutes available. 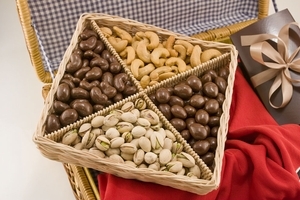 The result is luscious, even decadent, sugar free chocolate covered nuts of exceptional flavor. Now, anyone can satisfy their sweet tooth cravings without spiking their blood sugar or overloading on carbohydrates. 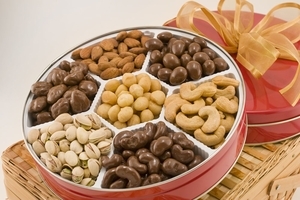 By the way, our diabetic gift baskets aren’t just for diabetics—far from it! Studies have found that the average Western diet pours about ten times more sugar into our bodies than we actually need to maintain our full energy level. The excess sugar feeds a host of potential health problems, so many of us are turning to a sugar free diet, or at least taking a more aggressive low-carb approach. 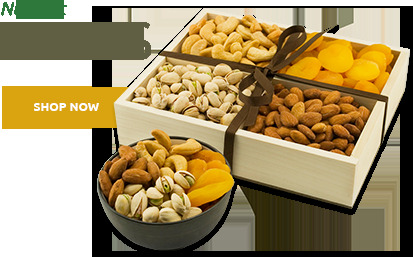 So, more than ever, a sugar free gift basket from Superior Nut Company makes a wonderful gift for the folks you care about—including those who aren’t watching their sugar at all, because everybody just plain loves our sugar free treats. 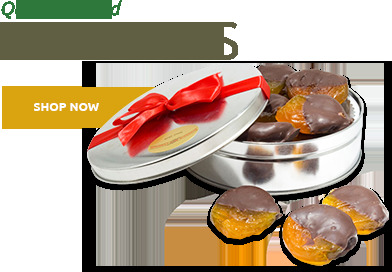 Order your sugar free gift today!